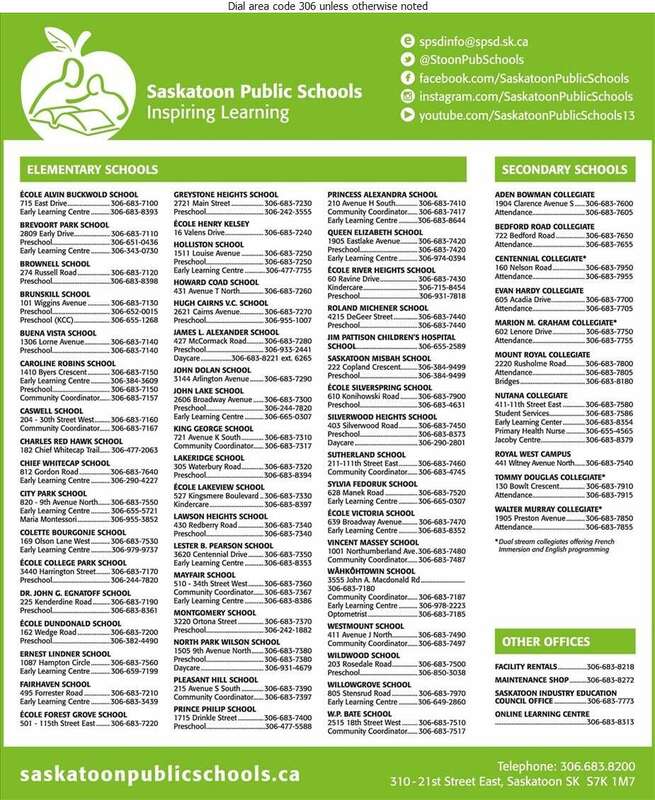 Saskatoon Public Schools is the largest school division in Saskatchewan. We serve more than 25,000 students throughout our 49 schools, 10 collegiates, two associate schools and one alliance school. Saskatoon Public Schools is open to all. We have two learning priorities - Literacy for Life and Collegiate Renewal. Our goal is for students to engage in relevant and challenging learning opportunities to enhance their academic, personal and social/cultural growth. We expect all students to demonstrate the following four values: Respect, Excellence, Joy and Responsibility.